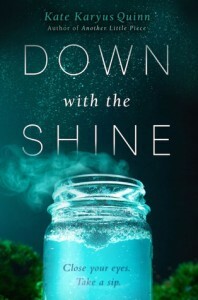 In Down with the Shine, Kate Karyus Quinn constructed a crazy and unique story where a girl and a bit of moonshine can grant wishes. From the beginning, Lennie’s backstory captured my attention. I’ve always hated the act of being wrongly judged simply because of where you’re from or how you look especially by law enforcement and people of authority. With Lennie’s best friend gone, a girl from a well-off family, everyone suspected Lennie had a hand in her disappearance and death even if she’s been officially cleared by law enforcement of any guilt. Fast-forward, and it’s a new school year. In honor of her late best friend, Lennie crashes a party and unsuspectingly grants wishes for all of her high school classmates. What she thought to be simply a family tradition turned out to be so much more, and utter madness ensued. The story is told primarily over the course of a day or two, and things proceed to get crazier and crazier as Lennie tries to undo her mistake. & Boy, do things get crazy! At times, even I had a difficult time following. Throughout it all, Lennie learns a lot about her famil that she never knew before. Through the entire story, I honestly didn’t think there would be any logical way for Lennie to undo her mistake. Kate Karyus Quinn threw in a twist that I wasn’t expecting and ended the story quite nicely. Overall, Down with the Shine by Kate Karyus Quinn was an unbelievable story with a lot of chaos. I think it was quite the reading experience and something that needs to be experienced for yourself. I personally think this story isn’t for everyone. You’ll probably love it or hate it. I do hope everyone gives it a try. 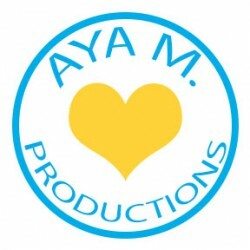 While I didn’t love it, I found the experience enjoyable and creative. It was a fun escape for a few hours.